This week with stuff from Cisco, Citrix, Dell, EMC, Fusion-io, HP, IBM, Microsoft, NetApp, Synology, Tintri, and VMware. (28 Jun) 3D Data Center Models for your iPhone/iPad available from the Apple App Store "Cisco 3D Interactive Catalog"
Data Center Interconnect using nV Edge Clustering by Jake Howering (13 Jul). 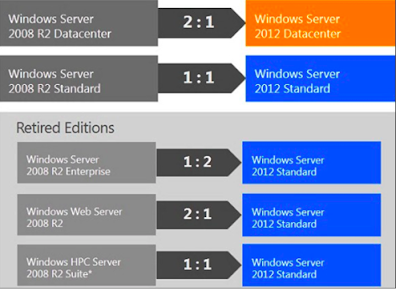 "The ASR 9000 product family has recently come out with a new feature called nV Edge (nV = Network Virtualization) ... 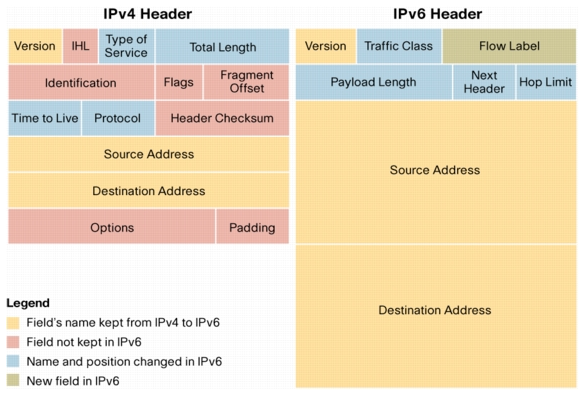 Ultimately, the nV Edge clustering+ VPLS topology can be as simple as shown below, while maintaining your resiliency requirements. 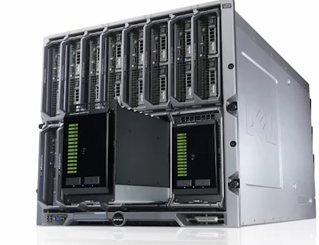 3) 50 millisecond or less recovery times"
"BR-SDX 2000 delivers the highest density of HDX optimization, with 5000 simultaneous HDX optimized sessions. With its capability to support 2Gbps of optimized traffic, BR-SDX 2000 also delivers the highest broad based WAN Optimization capability in the market, period." Making VDI work in poor bandwidth locations "...Citrix VDI-in-a-Box – deployed across 50 training centers." Price as reviewed (23 May 2012) = £49'420 exc. VAT. Price as reviewed (9 May 2012) = £8'880 ext. VAT. Price as reviewed (9 Jul 2012) = £9'521 exc. VAT. "Since moving to Dell EqualLogic, we've improved the performance of our SAP environment by around 50 per cent." > Next version of our innovative OpenStack deployment and operations software: Crowbar"
"1. Cloud unbridles customer growth"
"2. Cloud enables rapid product enhancements"
"3. Cloud enables experimentation, as a business"
Interesting use of Fusion-io cards "Fusion-io and Princeton University boffins have used a PCIe flash drive to virtually extend a server's main memory into the terabytes." 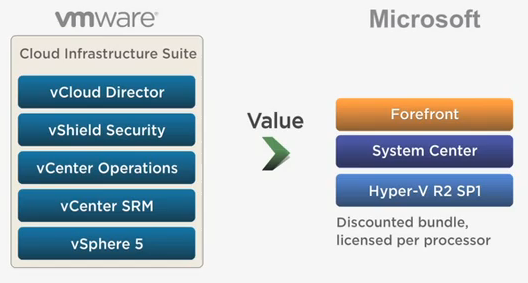 - Function in use: Thin provisioning, snapshots, data migration, synchronous mirroring, host attachment kits. "Windows Server 2012 will be available in four editions: Datacenter, Standard, Essentials, and Foundation ... Customers with active SA (Software Assurance) coverage at the time of 2012 release will receive migration rights to the new editions as follows:"
"... allows you to scale an NFS environment seamlessly while simultaneously offering the ability to optimize data paths from client to volume, even as your data moves within the storage cluster..."
NetApp Customer Claton Companies on Keeping it Simple, Doing More with Less (10 Jul.) 700 employess. Using FAS3240's and a FAS2240 for DR location. Using NetApp OnCommand. Using FlexVol, Snapshot, SnapManager, and SnapMirror. "NetApp developed Infinite Volume specifically to address the scalability needs of enterprise content repositories; it eliminates the complexities of managing data in multiple small containers. 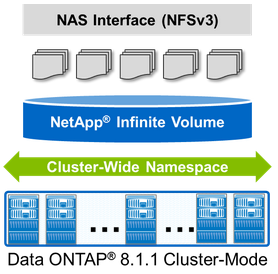 NetApp Infinite Volume is a software abstract hosted over Data ONTAP 8.1.1 operating in Cluster-Mode. Now, you may ask, “How infinite is an Infinite Volume?” Well, it doesn’t have unlimited capacity. But, it’s pretty darn big. It provides a single mount point that can scale to 20PB or 2 billion files." Highlights the value of OnCommand Workflow Automation as a tool for quick Cloud Storage provisioning. "> What is the read-write mix for the workload? 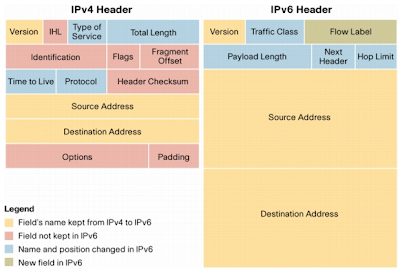 "> What are the typical IO sizes? "> How much is random versus sequential? "> How large are the working sets for the application? "5. Deploy Flash with Capacity-Optimized Drives"
YouTube video (11 Jun) from Steve Kaplan, VP, Data Center Virtualization Practice, Presidio West – "VMware vSphere Delivers Greater Value and Lower TCO than Microsoft Hyper-V"
"... Microsoft's claim that their solution is far less expensive than VMware's ... flaws in their methodology. "> Microsoft's comparison also ignores the VM density advantage that vSphere has over Hyper-V .... this means that vSphere deployments require less money, less money spent on servers, on network switches, cabling, rackspace, power, cooling, and even on guest OS licensing." "6. Distributed Virtual Switches and Datastores"
Phew, all in one week - I'll have to stop retaining so much!